ZIMBABWEANS have raised concern over bakers’ decision to increase the price of bread from $1,40 to $2,60 or alternatively US$0,90 for a standard loaf. The increase came hot on the heels of a three-fold fuel price hike, which led to violent protests in January. Struggling Zimbabweans have been forced to further tighten their belts following government’s austerity measures, including a 2% electronic transaction tax introduced by Finance minister Mthuli Ncube last year, forcing prices of basic commodities to go up. 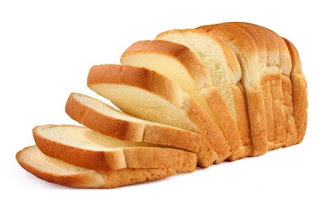 Bakers cited a rise in cost of production and the Reserve Bank of Zimbabwe’s failure to disburse foreign currency allocations to enable them to pay for their export requirements. “Our life has become difficult. I cannot afford to buy bread anymore or to feed my family. I cannot even opt for flour or rice because prices of these products were also hiked by retailers,” self-employed Fainos Chingoma from Sunningdale, Harare, said. The Consumer Council of Zimbabwe (CCZ) pegged the low income urban earner family basket at $666,93. Efforts to get a comment from CCZ executive director Rosemary Siyachitema were fruitless as she was travelling. Chingoma revealed that by yesterday morning, tuckshops, which they rely on, were selling a standard loaf of bread at $3. Yvonne Mwashumba, a vendor from Mbare, said they were seeking solutions from the government as they were struggling to make ends meet. “There is no alternative; rice is even worse as a 2kg packet is going for $7 and flour about $5 per 2kg. My children, for breakfast, are having sadza or porridge, of which such breakfast may affect my children’s performance at school as it may cause one to sleep in class. We are appealing to the government to deal with the situation urgently,” she said. Another Harare resident, Sarah Magacha said, by yesterday, her family was already feeling the heat as her salary had remained static. “I am working at a furniture shop and my salary has remained static for sometime, but prices are going up twice a month. Bread is a necessity. How can my family leave without bread? I am sure if the prices continue like this, by the end of next week, my children will go to school on empty tummies,” she said. Eliah Maphosa said he was opting for traditional foods such as mutakura wenyemba which he bought in Mbare as he was no longer able to buy bread. Last month, the Famine Early Warning Systems Network (Fewsnet) said the Zimbabwe food security situation had been compounded by the harsh economic climate and the late onset of the rains.